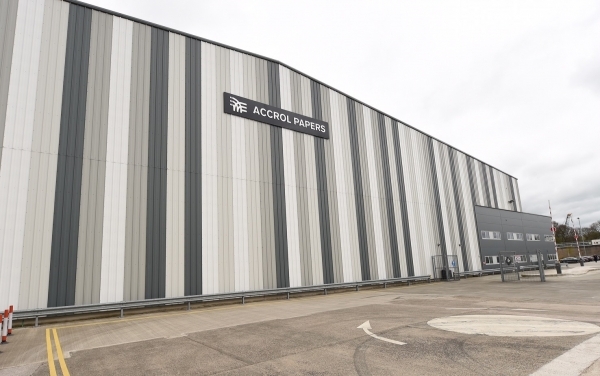 Accrol Group Holdings plc, the AIM listed leading independent tissue converter, have announced the official opening of its new 168,000 sq. 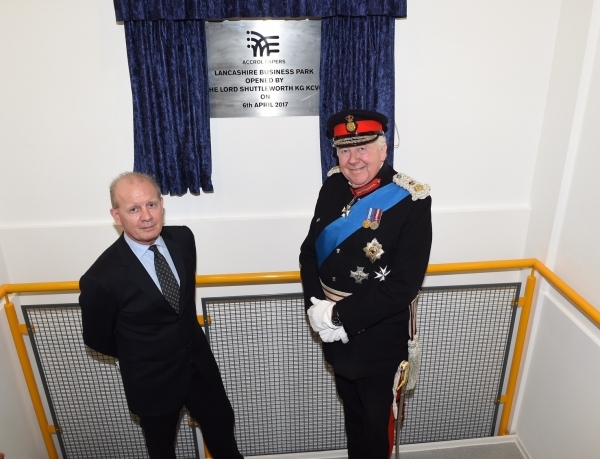 ft. manufacturing facility in Leyland, Lancashire with the unveiling of a ceremonial plaque by Lord Shuttleworth, Lord-Lieutenant of Lancashire. Accrol manufactures toilet rolls, kitchen rolls and facial tissues as well as other tissue products. The Company operates out of a total of 520,000 sq. ft. of manufacturing, storage and distribution facilities across Leyland and Blackburn, Lancashire. Accrol currently manufactures over 18 million units per week and supplies some of the UK’s largest retailers, providing both Accrol branded and Private Label products. This facility has had two tissue converting lines installed, which will increase Accrol’s total converting capacity to 143,000 tonnes per annum. Manufacturing began at the end of January 2017 and output will steadily increase as new shift patterns are added over the coming weeks. When both lines are fully manned they will create over 80 new jobs, taking Accrol’s total number of employees to almost 600, all of whom are based in Lancashire. The new facility has space for a further four converting lines.